Click here to download my free Android APP! Email: m@cmp.one for general questions. Sorry no email readings at this time. ABOUT MATTHEW Psychic Medium Online services through Best Psychic Directory, Psychic Matthew. I traveled to Europe, and now provide my psychic medium-ship services in Germany through the internet. 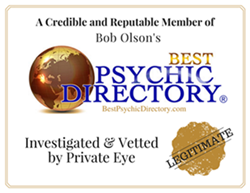 Matthew is a “Approved member of the Best Psychic Directory.” He is a psychic medium serving all of the USA, the United Kingdom, Australia and much more. He is known for his gentle humor, warm approach, and “big brother” demeanor in his counseling techniques. Matthew is on radio regarding Psychic Medium-ship. He also finds solace in writing science fiction novels. Celebrities have chosen Psychic Matthew time and time again for his ability to remote view, paranormal activity investigations, and psychic mediumship readings. He is tested, authenticated, peer reviewed, and ready for your questions or concerns regarding psychic or mediumship readings. Being a Medium is a gift from God, and I am eternally grateful to fulfill my role. Mediums depend on one thing, God’s guidance. The normal 5 senses are part of everyone, our lives are commanded by these senses. Our connnection and belief in God is how we get our gift, or as some might call it, our 6th sense. Since we, as Mediums, do not define ourselves by the 5 traditional senses, which are very predictable, our days as mediums and psychics tend to be unpredictable. This paradigm proves to be important for us so often. So, here is a visual idea of what happens during a reading. If you were to imagine a doorway in my mind. Images, feelings, words, or other things might show up in that doorway. This is that 6th sense. These thoughts, are then translate into words that are then relayed to the intended person. This doorway cannot be controlled, so only the message can be explained. Sometimes, what a client asks about may be different from what the message is. Other times it is so accurate that the client can validate quickly. Many people in the world are looking for that one medium or psychic that they can find a personal connection with. Matthew has been very fortunate to be able to do this with many of his clients, but not foolish to say he is successful with every one of them. That would be a lie. The moment Matthew accepted God is the moment his discernments became clear, and true to the holy spirit. No matter what your next step may be. Who ever you do get a reading from, I hope it brings you a sense of peace, enlightenment, clarity, and joy. Thankfully, I tell my clients up front if I can read them. If I cannot, then I offer, or suggest other mediums as a professional courtesy. Karen Kuebler: ​ Matthew Brandau is a phenomenon on our Earth -a stunningly gifted Medium with an extraordinarily good and kind heart. He literally pulled me back from the brink of despair by sharing his gift with me. He makes the world a better place by his being. Q: Why does the website look like this? Q: I do not have pay-pal, what can I do? A: You can use your credit card through pay-pal, but you must have a pay-pal account. Q: I want to know if aliens are real, and how to contact them. A: Yes, aliens are in fact real. my website (under construction) www.paranormalemergency.com hold lots of information about them, and other useful links to help further your knowledge regarding the vast amount of information. It is up to you to decide what is fact or fiction. Q: Can you talk to the dead? A: Yes, but the connection is very unpredictable. More often its very strong, some times it does not work. Q: Can you see or hear the dead? A: I have personally never seen a ghost, but I do know people who have, and its very un-nerving. As for hearing the dead yes, I have heard them through a digital recorder. It was quite sad. Q: I want to know if God "or someone from the other side" has any messages for me. A: This is a common question, and in many cases there are messages, but more ofthen the message is about faith, your path, love and compassion. Q: Can you tell me what my future holds? A: In many cases it is true that your future outlook can be seen and fortold, but these readings should be considered transient in the long term. Q: Will I become rich? A: Many clients ask this for the near term and long term outlook. In most cases, if there is money coming into the client’s life, it does not always reflect the actual amout, but on rare occasions I do see people getting rather wealthy. But those circumstances are very extraordanary. A: Sorry this question is forbidden to ask, I will not answer it. Q: I am having an affair, will this cause a problem? A: In many cases I get this question, and the answer is not so easy that I can write it here. Every situation is different. Q: Will I ever get my dream job? A: This is one of the biggest questions I get, and so many are desparate for their dream job. The one thing I ask my clients is to ask themselves “what is my dream job?” and if they know it, then the answer is available. Q: I lost something, can you see where it is? A: Remote viewing is very real, and very possible. It really depends on the item, and your connection to it. Q: I want to buy a house, car, or other...will I be able to? A: In most cases this question can and will be answered. But be ready, it might be an odd answer. 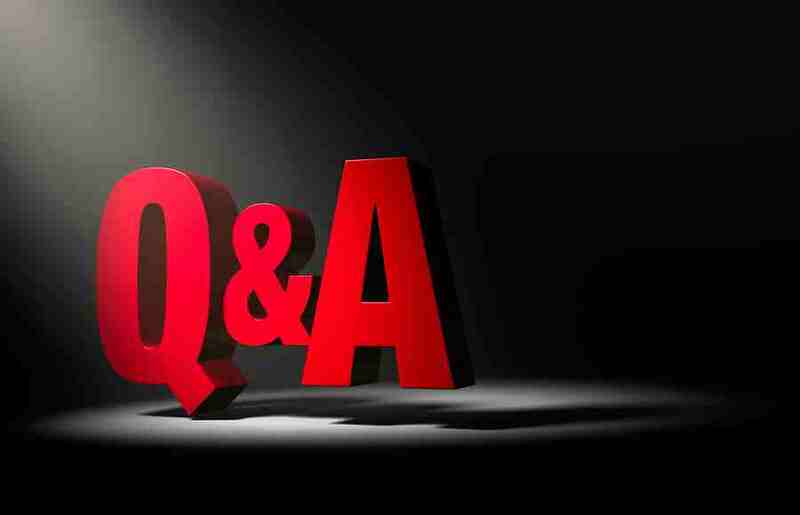 Q: Will my ex spouse come back to me? A: This question is very important, and can uncover other issues. Q: Will my new company be successful? A: Factually speaking many new companies do not survive. But will yours. Q: Can you help to remove ghosts, spirits, or demons? A: When I worked as a Paranormal Reasercher I had vast experience with all kinds of activity in most cases I can help, but every single case is different.